made with Sundried Tomatoes, Basil, Pecorino Cheese, Cashew Nuts, Garlic ,rapeseed oil and lemon juice. 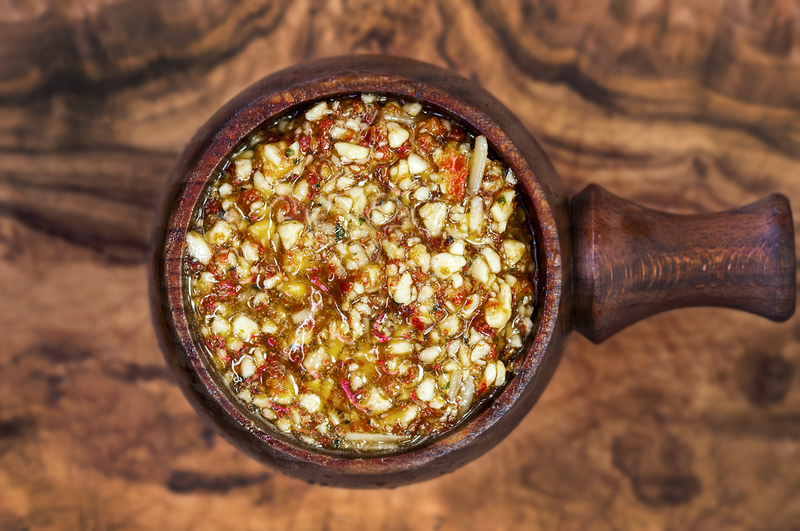 We use sun dried tomatoes as the base for this pesto and cashew nuts and pecorino to keep it nice and flavoursome. It is delicious stuffed into chicken breasts and baked in the oven or mixed through fresh pasta. Rapeseed Oil, CASHEW NUTS (35%), Sun-Dried Tomatoes (20%), PECORINO CHEESE (MILK) (7%), Fresh Basil (3%), Garlic (2%), Lemon Juice.